North Cornwall Guide and Directory. North Cornwall Accommodation. North Cornwall business and leisure guide. 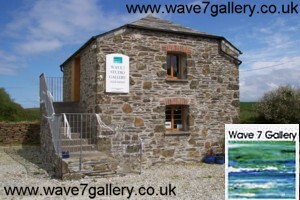 Art Galleries and Craft Galleries in North Cornwall. The galleries in north Cornwall offer the opportunity to view local crafts that range from fine art paintings to local artists impressions. Pottery, ceramic and glassware. Mirrors and statues, nautical items, jewellery and much more. There are many local artists displaying there works throughout north Cornwall in some superb locations. Original art in all mediums. Wave 7 is an exciting gallery in North Cornwall exhibiting contemporary paintings, glass, ceramics, sculpture, jewellery, textiles, wood etc. It is also the working studio of Victoria Mead where she makes her highly successful abstract mirrors. The gallery is situated in a converted 2 storey barn, with a car park, on the B3314, just before Trelights. Open daily 10.30 to 4.30. 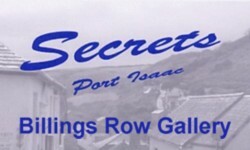 For access to gallery at other times phone 01208 880605 or 07773 822667. Not found what you want, then see the Art and Artists page for more possibilities. North Cornwall is an area of outstanding natural beauty. a highly attractive destination for a holiday or short break at any time of the year. Please keep it that way. and is sponsored solely by the businesses and residents of North Cornwall. Copyright 1998-2016 Kestrel Promotions. All Rights Reserved. Below are just a few of the fabulous activities that you can do in North Cornwall. If you find this website useful and informative and you have your own site, please feel free to link to us. The name 'North Cornwall Guide and Directory' is not licensed to any other web site or business. Web sites using the name 'The North Cornwall Guide and Directory' or a similar name are not owned by us or associated or endorsed by us in any way. This is North Cornwall is the original north Cornwall website who's sole focus is promoting north Kernow and we are actually based in the heart of North Cornwall. North Cornwall's original independent resource.